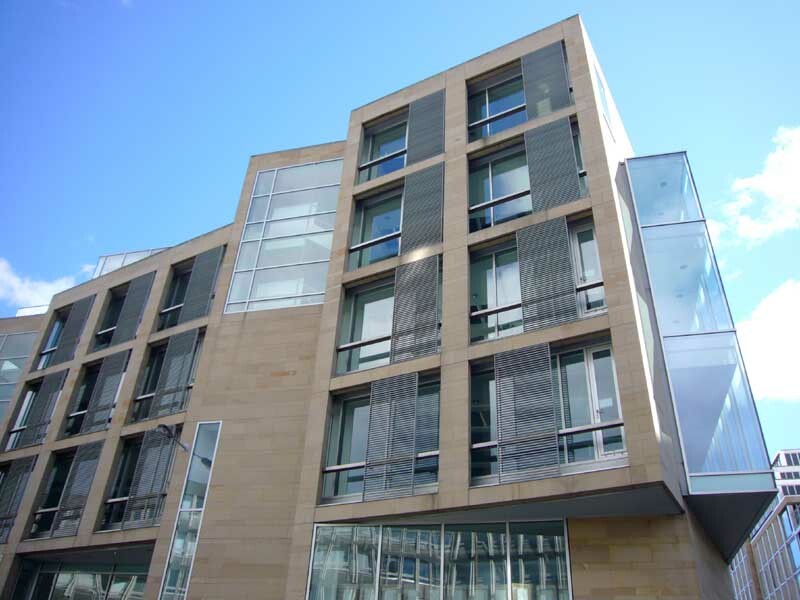 West Port – or Evolution House as named by the developers – was completed in 2003 where West Port meets Lady Lawson Street. Impressive facades – especially the north one – when viewed acutely mirror the pattern of fenestration in adjacent tenements, but obliquely open out into a complex mesh of angled insertions seen behind a continuous layer of panelled louvres. 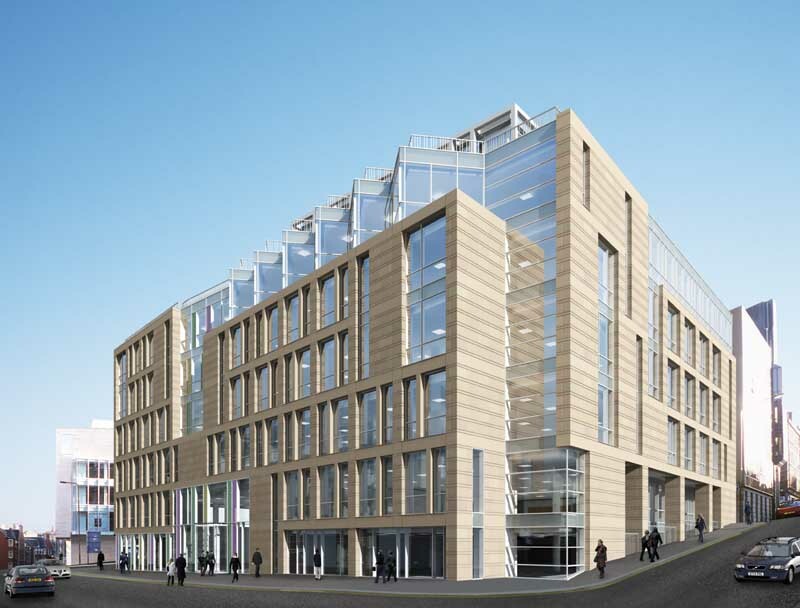 This building represents a real breath of fresh air for Edinburgh, strong but simple with a restrained panelled construction and innovative palette. The Client was AMA Limited who also developed Succoth Heights and are working on Cramond Housing – Caer Amon – amongst other projects, all in Edinburgh.